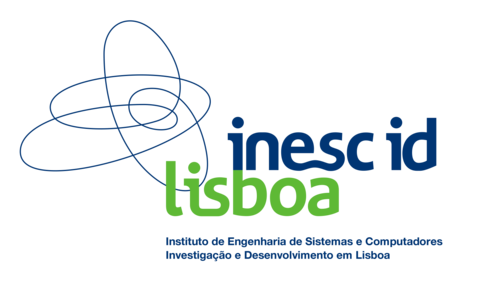 Spencer Pearson, José Campos, René Just, Gordon Fraser, Rui Abreu, Michael D. Ernst, Deric Pang, Benjamin Keller, "Evaluating and improving fault localization", International Conference on Software Engineering (ICSE) 2017. Eric Wong, Ruizhi Gao, Yihao Li, Rui Abreu, Franz Wotawa, "A Survey on Software Fault Localization", IEEE Transactions on Software Engineering (TSE) 2016. Birgit Hofer, Alexandre Perez, Rui Abreu, Franz Wotawa, "On the empirical evaluation of similarity coefficients for spreadsheets fault localization", Automated Software Engineering Journal 2015. Rui Abreu, Birgit Hofer, Alexandre Perez, Franz Wotawa, "Using constraints to diagnose faulty spreadsheets", Software Quality Journal 2015. Rui Abreu, Hakan Erdogmus, Alexandre Perez, "CodeAware: Sensor-Based Fine-Grained Monitoring and Management of Software Artifacts", International Conference on Software Engineering (ICSE) 2015, Florence, Italy. Lúcio S. Passos, Rui Abreu, Rosaldo J. F. Rossetti, "Spectrum-Based Fault Localisation for Multi-Agent Systems", International Joint Conference on Artificial Intelligence (IJCAI) 2015, Buenos Aires, Argentina. Rui Abreu, Simon Außerlechner, Birgit Hofer, Franz Wotawa, "Testing for Distinguishing Repair Candidates in Spreadsheets - the Mussco Approach", International Conference Testing Software and Systems (ICTSS) 2015, Sharjah and Dubai, United Arab Emirates. Rui Abreu, Daniel G. Bobrow, Hoda Eldardiry, Alexander Feldman, John Hanley, Tomonori Honda, Johan de Kleer, Alexandre Perez, Dave Archer, David Burke, "Diagnosing Advanced Persistent Threats: A Position Paper", International Workshop on Principles of Diagnosis (DX-2015) co-located with 9th IFAC Symposium on Fault Detection, Supervision and Safety for Technical Processes (Safeprocess 2015) 2015, Paris, France. Pedro Pinto, Rui Abreu, João M. P. Cardoso, "Fault Detection in C Programs using Monitoring of Range Values: Preliminary Results", CoRR 2015. Alexandre Perez, Rui Abreu, André Riboira, "A dynamic code coverage approach to maximize fault localization efficiency", Journal of Systems and Software (JSS) 2014. Birgit Hofer, Rui Abreu, Alexandre Perez, Franz Wotawa, "Generation of Relevant Spreadsheet Repair Candidates", European Conference on Artificial Intelligence (ECAI) 2014, Prague, Czech Republic. Paulo Casanova, David Garlan, Bradley R. Schmerl, Rui Abreu, "Diagnosing unobserved components in self-adaptive systems", International Symposium on Software Engineering for Adaptive and Self-Managing Systems (SEAMS) 2014, Hyderabad, India. Rui Abreu, Jácome Cunha, João Paulo Fernandes, Pedro Martins, Alexandre Perez, João Saraiva, "Smelling Faults in Spreadsheets", International Conference on Software Maintenance and Evolution (ICSME) 2014, Victoria, BC, Canada. Rui Abreu, Jácome Cunha, João Paulo Fernandes, Pedro Martins, Alexandre Perez, João Saraiva, "FaultySheet Detective: When Smells Meet Fault Localization", International Conference on Software Maintenance and Evolution (ICSME) 2014, Victoria, BC, Canada. Alexandre Perez, Rui Abreu, "A diagnosis-based approach to software comprehension", International Conference on Program Comprehension (ICPC) 2014, Hyderabad, India. Nuno Cardoso, Rui Abreu, "A Kernel Density Estimate-Based Approach to Component Goodness Modeling", AAAI Conference on Artificial Intelligence (AAAI) 2013, Bellevue, Washington, USA. Nuno Cardoso, Rui Abreu, "A Distributed Approach to Diagnosis Candidate Generation", Portuguese Conference on Artificial Intelligence (EPIA) 2013, Angra do Heroísmo, Azores, Portugal. Birgit Hofer, André Riboira, Franz Wotawa, Rui Abreu, Elisabeth Getzner, "On the Empirical Evaluation of Fault Localization Techniques for Spreadsheets", International Conference on Fundamental Approaches to Software Engineering (FASE) 2013, Rome, Italy. Alexandre Perez, Rui Abreu, "Cues for Scent Intensification in Debugging", International Workshop on Program Debugging (IWPD) co-located with IEEE International Symposium on Software Reliability Engineering (ISSRE) 2013, Pasadena, CA, USA. José Campos, Rui Abreu, Gordon Fraser, Marcelo d'Amorim, "Entropy-Based Test Generation for Improved Fault Localization", International Conference on Automated Software Engineering (ASE) 2013, Palo Alto, USA. Carlos Gouveia, José Campos, Rui Abreu, "Using HTML5 Visualizations in Software Fault Localization", First Working Conference on Software Visualization (VISSOFT) co-located with International Conference on Software Maintenance (ICSM) 2013, Eindhoven, The Netherlands. Pedro Machado, José Campos, Rui Abreu, "MZoltar: Automatic Debugging of Android Applications", in First international workshop on Software Development Lifecycle for Mobile (DeMobile), co-located with European Software Engineering Conference and the ACM SIGSOFT Symposium on the Foundations of Software Engineering (ESEC/FSE) 2013, Saint Petersburg, Russia. José Campos, Rui Abreu, "Encoding Test Requirements as Constraints for Test Suite Minimization", in International Conference on Information Technology: New Generation (ITNG) 2013, Las Vegas, Nevada, USA. Alexandre Perez, André Riboira, Rui Abreu, "A Topology-based Model for Estimating the Diagnostic Efficiency of Statistics-based Approaches", in International Workshop on Program Debugging (IWPD) co-located with IEEE International Symposium on Software Reliability Engineering (ISSRE) 2012, Dallas, TX USA. Alexandre Perez, "Dynamic Code Coverage with Progressive Detail Levels", Master Thesis 2012, University of Porto, PT. José Campos, André Riboira, Alexandre Perez, Rui Abreu, "GZoltar: An Eclipse Plug-In for Testing and Debugging", in International Conference on Automated Software Engineering (ASE) 2012, Essen, DE. André Riboira, Rui Rodrigues, Rui Abreu, "Interactive visualizations of automatic debugging reports", in V Ibero-American Symposium in Computer Graphics (SIACG) 2011, Faro, PT. André Riboira, Rui Abreu, Rui Rodrigues, "An OpenGL-based Eclipse Plugin for Visual Debugging", in 1st Workshop on Developing Tools as Plug-ins (TOPI) 2011, Honolulu, HI, US. André Riboira, Rui Abreu, Rui P. A. Rodrigues, "A Visual Debugger for Efficient Software Fault Localization", in The 4th Meeting of Young Researchers at UP (IJUP) 2011, Porto, PT. André Riboira, Rui Abreu, "The GZoltar Project: A Graphical Debugger Interface", in Testing: Academia and Industry Conference - Practice And Research Techniques (TAIC-PART) 2010, Windsor, UK.